Bonsai is a unique artform in that it combines not only creativity but also horticultural skill. However well designed a bonsai is, it must always have its horticultural needs met in order that it remains in good health and is able to cope with the stress of styling, wiring and life in the confines of a pot. However without understanding how plants function, it is harder to understand the necessity of applying sound horticultural practices. 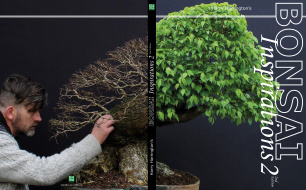 Understanding basic plant physiology is also essential to understanding how bonsai techniques are used to alter the natural growth habit of plants and the effect that these techniques have on bonsai. The three principal areas of any tree or shrub are the roots, the trunk and the leaves. The root system of a bonsai is normally only considered at repotting time and for the rest of the year it remains out of view and often out of mind. its development though is as important to the health and growth of a bonsai as the rest of the plant. The roots of any plant have three main purposes, the first is simply to anchor the plant into the ground or soil. This is performed by the thick, strong roots which radiate from the base of the trunk. The second purpose is to store nutrients during the dormant period (usually Winter). Lastly, roots function to absorb water and nutrients via single cell growth extensions, called root-hairs. Water is then supplied to other parts of the plant via the Stele. Trees growing in dry soils or soils that during periods of drought, develop a tap root that travels into the ground until a continual source of moisture is found before developing fine roots that are able to 'gather' water and nutrients. Trees growing in wetter soils or trees that have a lower requirement of moisture (for instance many coniferous species) form a wide spreading fibrous root system in which there is no main or tap-root. Roots grow through the hours of darkness, receiving energy that the plant has accumulated during daylight hours. In the daytime, root growth is very slow as the rootsystem supports growth in the above ground areas of the plant. Root hairs and epidermal cells, absorb water and nutrients from the soil, and these are transported up the trunk to the leaves of the plant. However, a great deal of water (around 95%) is given up to the air as a result of a process commonly known as transpiration. To give an idea of how much water is required by a typical tree growing in a forest, it has been estimated that Eucalyptus regnans growing at around 250 feet in height can lose several hundred gallons of water on a hot day. If the tree is to survive, this water must be replaced by its network of fine roots that will typically equal the size of the foliage that they support. The rise of water in a plant body is caused by root pressure, capillary action, transpiration and cohesion. A tree of 100ft (or more) is only able to supply water to its uppermost branches because the tensile strength of water is very great; that is to say, an enclosed column of water will not break into separate droplets except under enormous tension. Roots absorb water by a process known as osmosis, whereby water with a low concentration of minerals and nutrients passes through the root membrane, the 'Endoderm' towards the moisture within the rootsystem and the Stele which has a higher concentration of minerals and nutrients. It should be noted that if the water in the soil has a stronger solution of nutrients than the roots, usually as a result of overfeeding, water will be drawn from the roots back into the soil, depriving the tree of water. This process is known as reverse osmosis. If the soil available to the roots of a plant is too dry, root hairs wither and are no longer able to absorb water and nutrients. Root hairs dry out rapidly when exposed to situations where there is no moisture and this why allowing the soil in which your bonsai grows to dry out, for however short a period of time, is very damaging. Conversely, within compacted or poor-draining soils, roots suffocate and lose their absorbing capacity. For roots to grow well they require abundant amounts of oxygen in the form of aqueous vapour. If the soil is compacted and airless, atmospheric air is unable to penetrate the soil and the rootsystem can suffocate, leading to a dieback of roots, decay and root-rot. Many plants are unable to make use of nitrogen in the air directly, but some bacteria, like mycorrhiza, make their way into the roots of living plants and fix nitrogen so that it is then made available to the plant. Mycorrhizal bacteria develops naturally in the soils of trees and can commonly be seen in the soils around Pines. Some tree species such as Pine, Juniper, Larch and Oak are especially reliant on mycorrhiza and for this reason, suffer very badly if bare-rooted or have a large percentage of their existing soil replaced at once.